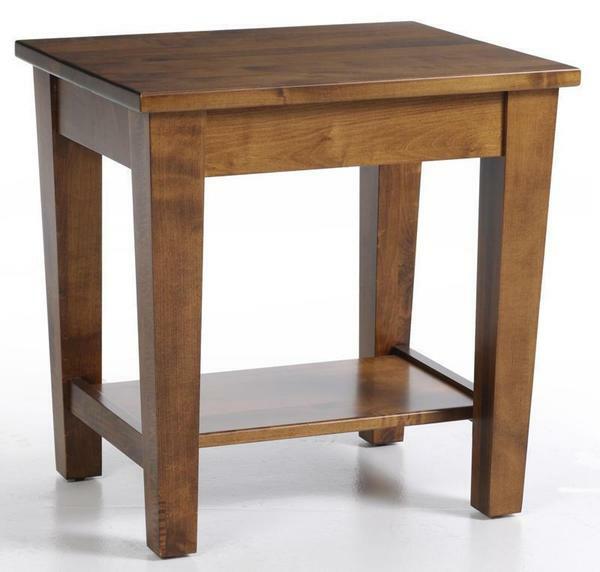 A perfect representation of the mixture of elegance and simplicity that shaker furniture offers, the Amish Urban Shaker Occasional End Table is proportioned beautifully. Tapered legs draw attention, while a lower shelf comes in handy. A solid wood accent table for wherever you need some surface area to set things down. We offer a wide variety of accent tables in all styles to bring balance and comfort to the living room scene. Please email or call us today with any questions or with custom requests. Thank you for shopping with DutchCrafters.